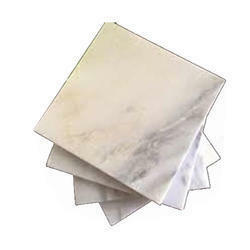 Providing you the best range of soapstone coaster set, soapstone painted coaster set, marble coaster set and sandstone coasters with effective & timely delivery. 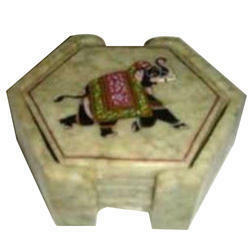 Soapstone Coaster Set offered can be made available by us in different design options to pick from as well as in smooth polished surface finish that helps in enhancing the beauty of the table decor. Further, its intricate carved and appealing looks also add on to them exciting finish values. Some of its features include beautiful art work finish; have designer look and aesthetic appearance; can be made available in different finish designs as per preferred choices of customers. 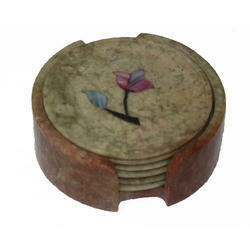 Soapstone Painted Coaster Set offered is made available in exclusive and attractive finish standards and perfectly match up with the preferences of customers. The superior construction finish of the coaster sets also help in adding shiny rich finish looks to the table setting. Some of its features include superior construction finish for lasting durability; fine designs and smooth edges; sophisticated looks that match up with the tastes of customers; acclaimed for elegant looks and creative designs. Marble Coaster Set offered feature exclusive carved pattern finish that is eye catching as well as elegant in looks. Here, our expertise lies in making these available in different aesthetic designs, smooth finishing & stylish looks. Some of its features include provide for aesthetic finish appearance; apt for self use and gifting purposes; highly demanded & used in homes, offices, hotels and resorts; fine finish & attractive appearance. 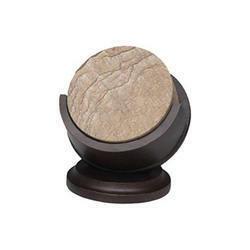 We are a top-notch organization, engaged in providing Sandstone Coasters. 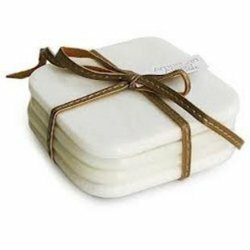 Looking for Soapstone And Marble Coaster Set ?